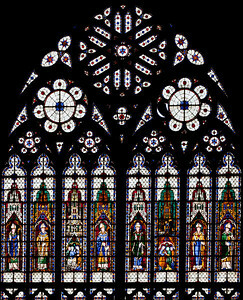 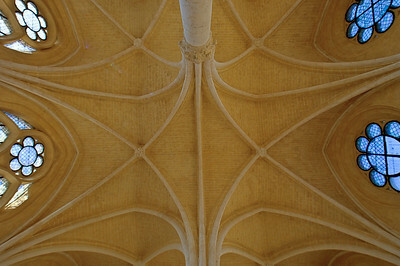 1508-17 - Flamboyant Gothic style. 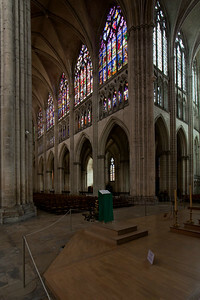 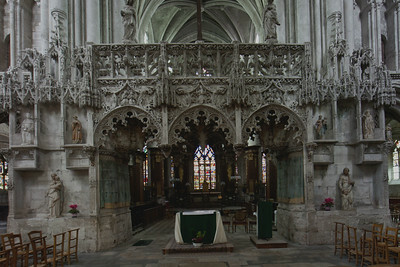 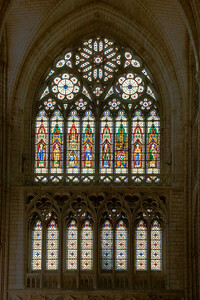 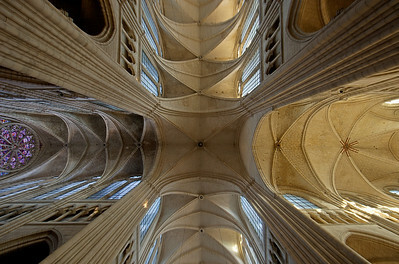 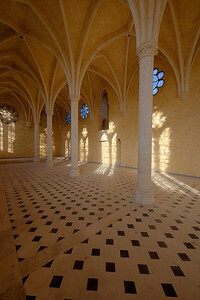 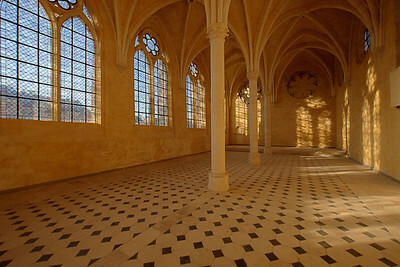 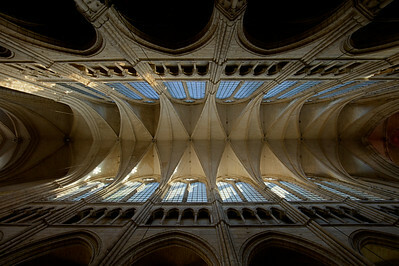 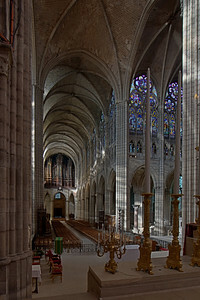 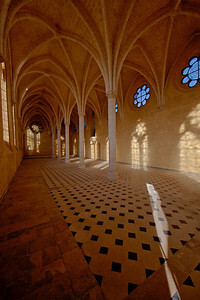 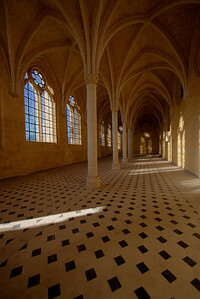 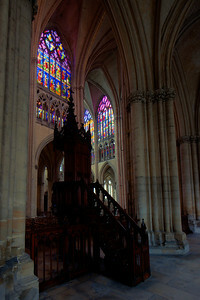 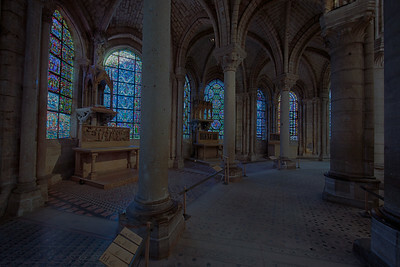 The twelfth century ambulatory is the birthplace of Gothic architecture. 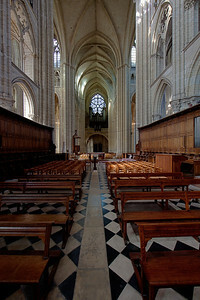 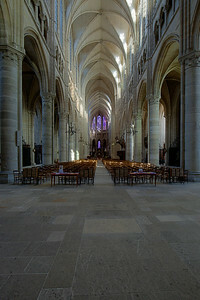 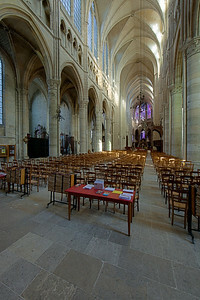 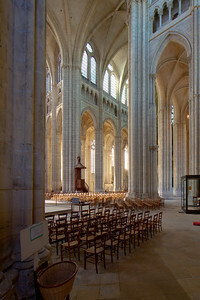 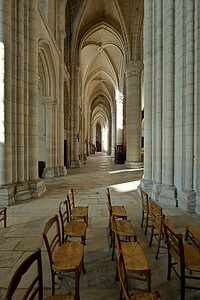 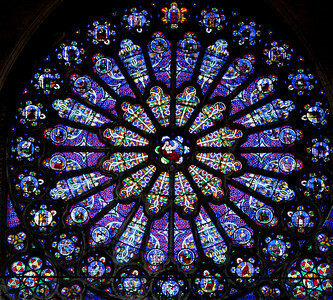 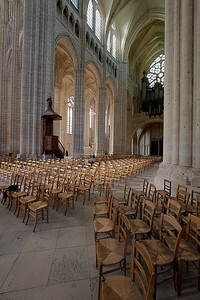 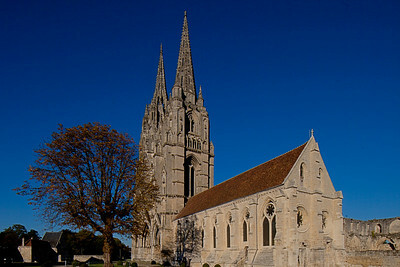 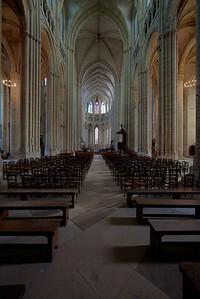 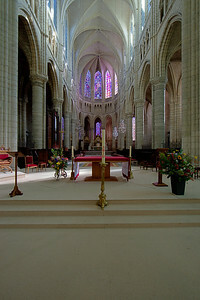 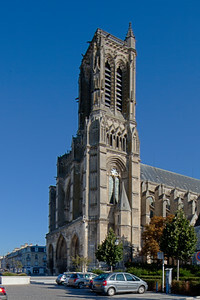 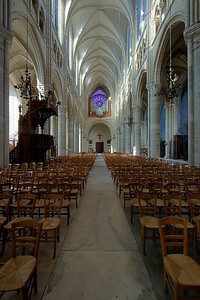 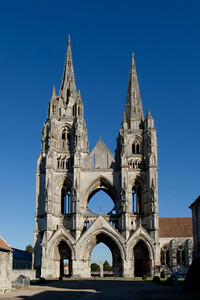 Twelfth Century - The remainder of the cathedral is thirteenth century. 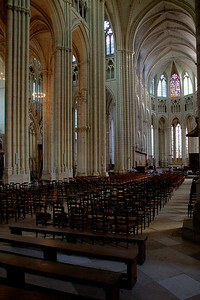 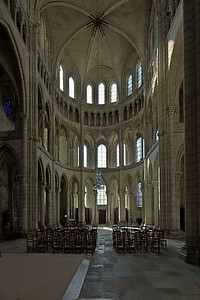 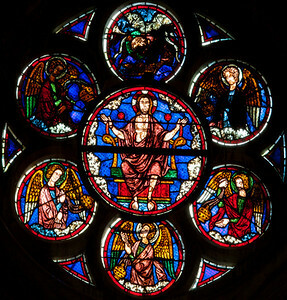 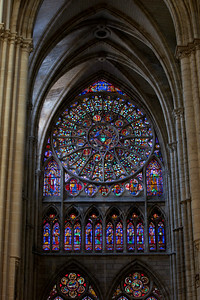 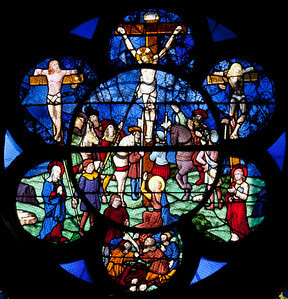 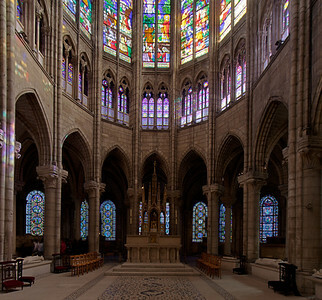 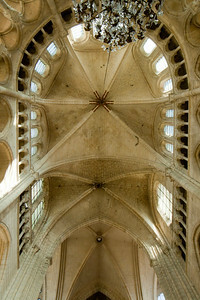 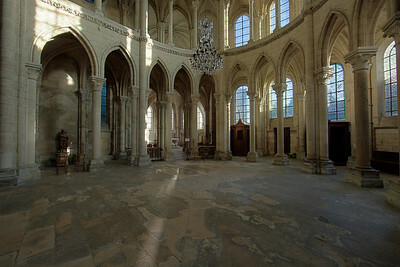 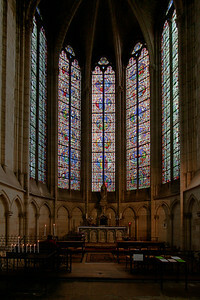 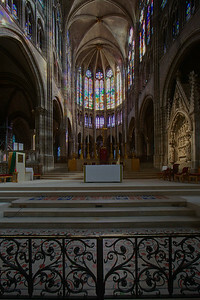 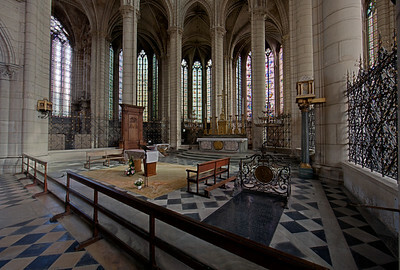 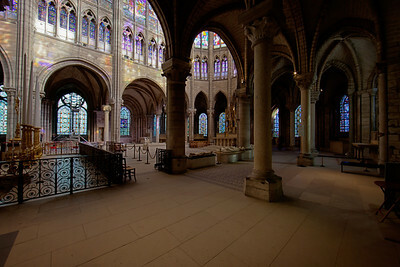 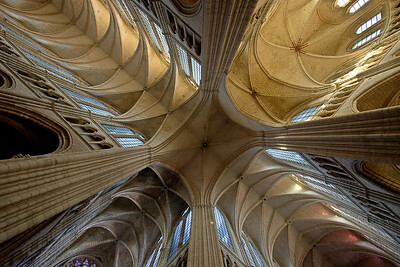 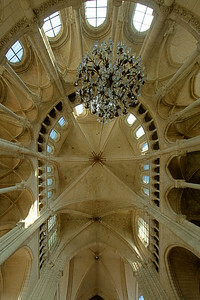 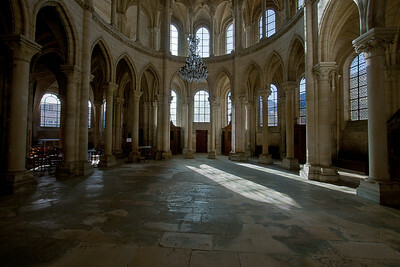 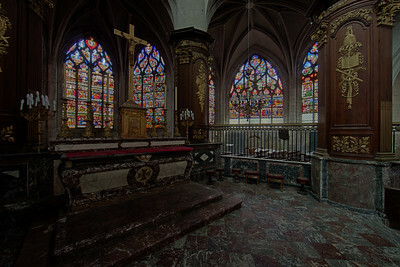 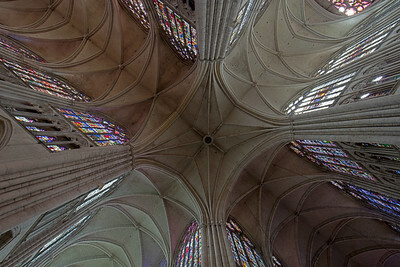 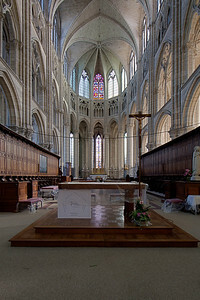 This rounded transept is one of the gems of early French Gothic, begun in 1177.